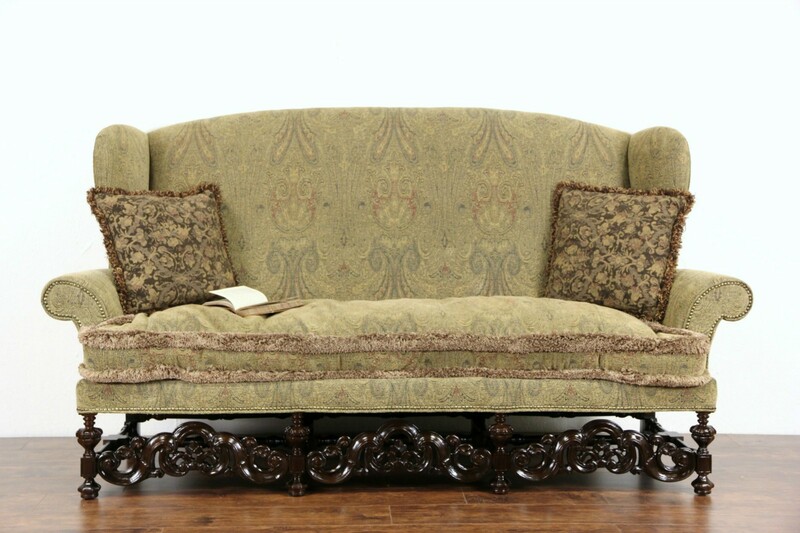 About 15 years old, this very comfortable "wing" sofa was carved of walnut in the English Renaissance manner. The frame is tight and strong and has an excellent deep finish. Soft upholstery is recent, the long zippered cushion is down filled. Measurements are 88" long, 35" deep, 48" tall and the seat is 20" high. The matching sofa in photos is priced and sold separately, call or email for availability.